Cheap Car Insurance Calgary, Compare Lowest Quotes & Save! Getting Cheap Calgary Car Insurance Quotes Is Easy! Want to get cheap car insurance in Calgary? Want to compare car insurance quotes to get the lowest rates for the best auto insurance coverage in Calgary? ThinkInsure is independently owned and we can compare car insurance quotes from the top insurance companies to help Calgary drivers save. We can help you get the lowest car insurance rates in Calgary, Alberta. Our insurance experts work for you to find the you the best coverage for your needs while saving you money with the cheapest quotes. Our car insurance advisors help drivers get cheap insurance in Calgary. We help you compare your options. We provide expert advice. We make sure you get the cheapest auto insurance quotes. Save money : We’ll get you the best car insurance rates in Calgary. Our goal is to help you get cheap insurance. Expert advice : We help you make good insurance decisions. Our experts provide expert auto insurance advice to help you save. Easily compare Calgary auto insurance coverage options : You have options. Our experts help you explore them. Find the best car insurance coverage for your situation. Get online car insurance quotes : We make getting a quote quick and easy. Compare online car insurance quotes when it’s convenient for you. Compare Calgary car insurance quotes online and save. Call toll-free 1-855-550-5515 and a ThinkInsure expert will be happy to compare the cheapest quotes in Calgary for you. Driving in Calgary is only becoming more congested and challenging. Affectionately referred to as Cowtown and home to the world famous Calgary Stampede, the city is the fastest growing city in Canada – this means more cars, more rush hour traffic, and greater risk for drivers. Add to this constant construction as the Calgary Ring Road is being constructed and unpredictable Alberta weather and drivers need to be alert and drive safe to keep car insurance rates down. But regardless of the type of vehicle you drive, where you drive, or how often, drivers in auto insurance in Calgary they can depend on. At ThinkInsure, you can quickly compare Calgary car insurance quotes and find the coverage you need at the cheapest rates. We’ll help you save on insurance even when rates in Alberta are on the rise. Being a driver in Calgary doesn’t have to be complicated. 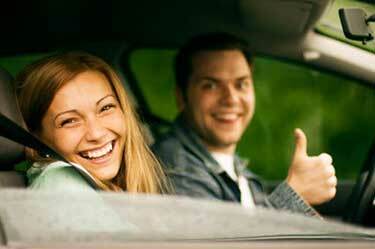 When you have dependable auto insurance in Calgary, you can drive with confidence. Our Calgary insurance brokers work for you. We’ll help you get the coverage you need, while helping you keep more money in your pocket. Calgary Car Insurance Coverage Options – What’s Required? What’s Optional? Calgary drivers are required to have a mandatory amount of car insurance coverage. At a minimum, you must carry $200,000 in third party liability and accident benefits coverage. Mandatory coverage is determined using the grid rating program. The majority of drivers in Calgary have more than the minimum car insurance. Optional car insurance coverage rates do not apply to the grid rating system. Drivers are free to get car insurance quotes for optional coverage. The amount of optional coverage you get is up to you. Get more information about the specifics of Alberta car insurance coverage and requirements. Insurance coverage needs vary based on where you live in Calgary. Unpredictable weather makes it important have more than the basic amount of coverage required to legally drive in Alberta. Increase third party liability coverage : Most drivers in the province carry $1 million in third party liability coverage. Get comprehensive coverage : Get added coverage to protect your vehicle against wind, hail, flooding, and flying objects. Make sure you have windshield coverage : Cracked or chipped windshields are common in Calgary. Frigid temperatures and flying rocks are threats to your windshield. Get A Car Insurance Quote In Calgary And Save! Saving on insurance coverage starts with a quote. We offer car insurance quotes for all types of vehicles – pickups, compact cars, SUVs, work vehicles, and more. Work with our Calgary insurance experts today to save money. Get the cheapest car insurance quotes with ThinkInsure. Call toll-free 1-855-550-5515. How Much Does Car Insurance Cost In Calgary? Calgary car insurance rates vary from driver to driver. In general, car insurance costs in Calgary tend to be higher than other Alberta cities. The population, amount of traffic, and risk all play a role in how rates are determined by insurance companies. The best way to know how much YOUR car insurance premium will cost is to get a Calgary car insurance quote. What Are The Average Car Insurance Premiums In Calgary? The average car insurance rates in Alberta are about $1,250 annually, or about $105 per month. Since car insurance rates tend to be higher in Calgary than in other regions, drivers can expect to pay at or above the average car insurance premiums. Why Is Car Insurance In Calgary More Expensive? Calgary drivers have some of the highest insurance rates not only in Alberta, but in all of Canada. As a major city, large traffic volume and unpredictable weather in the region increase risk. The city also has one of highest rates of vehicle theft in Canada. These factors, among others such as age, vehicle type, and driving record, increase the cost of insurance in Calgary. Get Online Car Insurance Quotes in Calgary Anytime! Compare Car Insurance Coverage And Save! Step 1 - Click To Start : Click to start your online Calgary car insurance quote. Call : Give us a call at call toll-free 1-855-550-5515 and speak directly with our Calgary insurance experts. Which Factors Impact Calgary Car Insurance Costs? Personal information : Age and gender. Driving experience : Number of years you’ve had a driver’s licence. Driver training : Completion of an accredited driver training program. Vehicle : Type of vehicle you drive and what it’s used for. Deductible : Insurance deductible amount. Coverage : Insurance coverage limits. Drivers : The number of drivers included on your insurance policy. These and other factors are used by Calgary insurance companies to determine the cost of your insurance premium. Who Determines Calgary Car Insurance Rates? Auto insurance rates in Alberta are set by the Automobile Insurance Rate Board (AIRB). They manage the Grid Rating System to set the maximum premiums insurance companies can charge drivers. How Do I Get The Best Auto Insurance In Calgary? 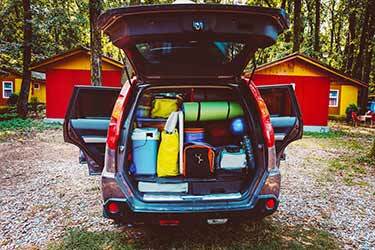 Use a car insurance calculator : An Alberta car insurance calculator can help you get a better grasp on car insurance costs. Know how the grid rating program works : The grid program is designed to help you save on car insurance premiums as you gain more experience. Keep a clean driving record : Be a safe driver – obey traffic laws, get winter tires, avoid texting and driving, don’t drink and drive. 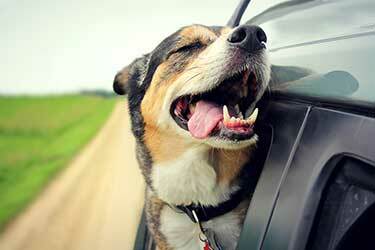 Choose coverage limits wisely : Choose car insurance coverage that meets your personal needs. 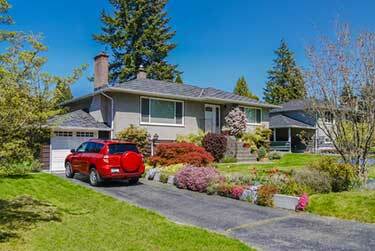 Work with a Calgary insurance expert : Brokers can help you compare cheap insurance quotes. Get insurance quotes for optional coverage : Always get auto insurance quotes. This will help you get the cheapest insurance premiums. How Can I Lower My Car Insurance Premiums in Calgary? Bundle home and auto coverage : Combining insurance policies will immediately save you up to 15% or more on all coverage. Install winter tires : Using winter tired will not only qualify you for a discount, they will make driving safer. Install an anti-theft device : Theft rates are high in Calgary. Installing an anti-theft device will qualify you for a discount and make it less likely your vehicle gets stolen. 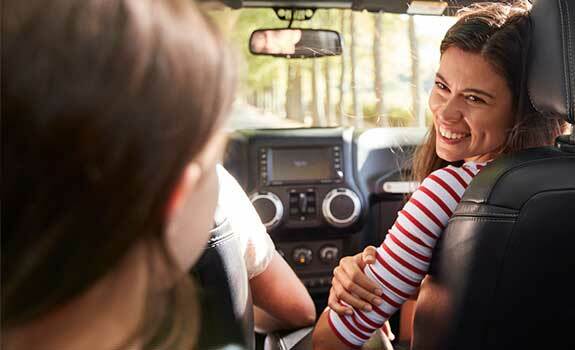 Choose an insurance friendly vehicle : The vehicle you drive matters. Choose one that is not a target for thieves, has a strong safety rating, and is affordable to repair. 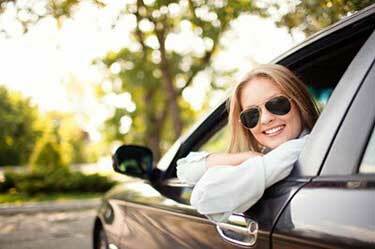 Shop around : Comparing car insurance quotes in Calgary is always the most effective way to find the cheapest car insurance premiums. At ThinkInsure, we are dedicated to helping you get cheap insurance in Calgary. We know insurance costs are high and cheap auto insurance in Calgary can be hard to find. That is, if you don’t use ThinkInsure. 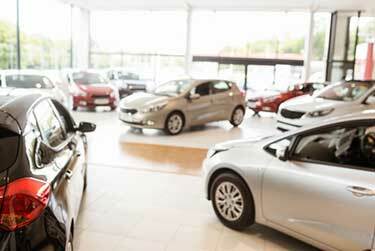 Our car insurance experts can help drivers get the cheapest car insurance coverage. Compare Calgary car insurance quotes and save. Call toll-free 1-855-550-5515 and a ThinkInsure expert will be happy to compare the cheapest quotes in Calgary for you. Why Get Your Calgary Car Insurance Policy From ThinkInsure? Our insurance experts work for you : Our Calgary auto insurance experts are on your side. They work for you. Their job is to help you save on insurance premiums and get the best coverage. Expert insurance knowledge : Our experts stay on top of the car insurance industry. They are licensed professionals. They make impartial insurance coverage recommendations. Access to the cheapest car insurance : Compare rates to give you the best chance to get cheap car insurance premiums. We have access to coverage from many insurance providers. Assistance with insurance issues : We will help you with insurance claims. We can act as an advocate for you and answer your insurance questions. At ThinkInsure, we have partnered with the best auto insurance companies in Calgary. This allows us to compare car insurance quotes from multiple insurance providers. This is not something individual car insurance companies in Calgary can offer drivers. We are partners with the top car insurance companies in Calgary, including Aviva, Intact, Economical, Travelers, Wawanesa and many others. See our full list of insurance companies. We offer more than car insurance. We also offer home insurance in Calgary. Bundle home and auto insurance in Calgary and get even more cost savings. Simplify insurance by combining your policies with one insurance company. It is also the best way to save on your insurance. You could save up to $700 by bundling your insurance coverage. Do you use your vehicle for business purposes? Have a small business? Run a home-based business? We can help you with all your needs for commercial auto insurance. 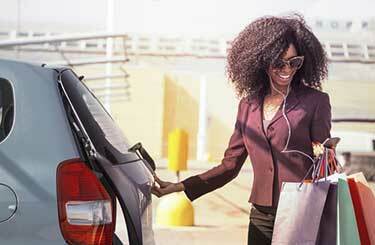 Save on your personal and business car insurance policies. Finding affordable motorcycle insurance in Calgary doesn’t have to be difficult. We help riders just like you compare insurance quotes and save money. Own a classic car? Have a collector car you want to protect? We offer classic car insurance in Calgary for drivers of all types of classic and antique vehicles. Get the coverage you need to drive your classic with confidence. The City of Calgary is a big place. There is a large downtown core and many different neighborhoods. Where you live, how and where you drive within the city matters. 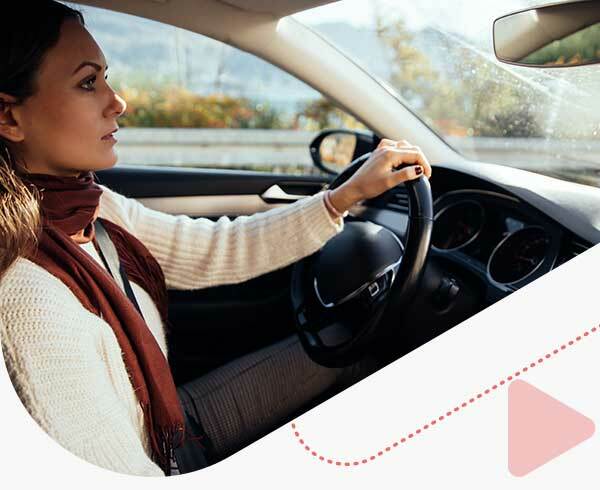 No matter where you live in the Calgary, ThinkInsure can help you get car insurance coverage that makes sense for your situation. Compare Calgary car insurance quotes online or call toll-free 1-855-550-5515 and start saving! Calgary is recognized as the best city for drivers in North America : According to a major survey in 2017 that examined the world’s top 500 cities, Calgary ranked 10th best major city to drive in the world and number 1 in Canada and North America. Calgary is a major transportation hub : This city is located at the junction between the Trans-Canada Highway (Highway 1) and the “Canamex” highway system. Close to 1 million licensed drivers : As of 2016, there were more than 940,000 licensed drivers in Calgary, the most in any city in Alberta. Calgary is home to the busiest road in Alberta : Over 160,000 vehicles pass over sections of Deerfoot Trail every day in Calgary. SUVs and trucks reign supreme : Over 75% of the vehicles on Alberta roads are SUVs or trucks. This hold true in Calgary. Calgary is a young city : Calgary has the youngest population of all major cities in Canada. The median age is 36.8. This means there are a lot of younger drivers on the road. Calgary has the highest vehicle theft rate in Canada : On average, 111 cars and trucks are stolen per week in the city. Over 5700 vehicles were stolen in 2017 alone. Calgary is a commuter town : 80% of people drive or commute to get to work. The average commuter time for drivers to get to work in Calgary is 26.5 minutes. This is less than Toronto, Montreal, and Vancouver. Calgary is a cyclist haven : The city has the largest outdoor pathway and urban bike network in North America. Watch out for cyclists while driving. Winter tires are a must : Calgary is known for its significant snowfall and treacherous winter road conditions. Winterize your vehicle : With temperatures getting as low as -30 degrees, it’s very important to winterize your vehicle. Watch out for lane reversals : There are a number of areas where lane reversals are in effect. Pay attention to which lanes are open. Avoid hitchhikers : Hitchhiking is not allowed on major highways or within Calgary city limits. Drive safe on Deerfoot Trail : Expect delays and traffic on Deerfoot Trail, Calgary’s busiest road. Watch out for wildlife : Wildlife frequently cross busy streets and highways in and around the city. Check the road conditions before driving : Get traffic report and road closure information on the City of Calgary website. 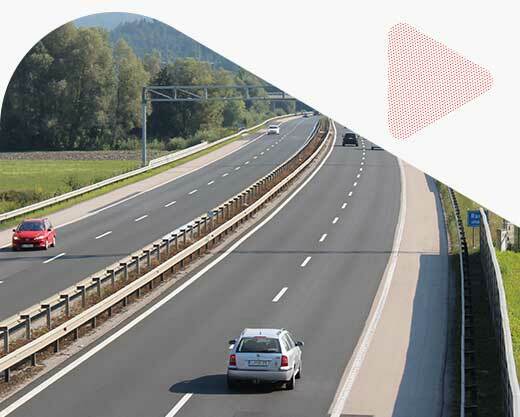 This will help you avail congestion, accident scenes, and get to your destination quicker. Do You Need Insurance To Drive In Calgary? Yes. You are required to have auto insurance to register your vehicle. Working with an insurance expert to compare auto insurance quotes is the most effective way to help you find the best auto insurance for your specific driving needs. Why Do I Need Car Insurance In Calgary? You need car insurance to protect yourself against driving risks and threats. One accident or having your vehicle stolen could put you at financial risk. Plus, you are legally required to have minimum insurance coverage to register your vehicle. It depends on your driving needs and what you use your vehicle for. If you use your vehicle for work, you may need commercial auto coverage. If you have a poor driving record, you may need high risk coverage. Speak with our insurance experts to discuss your needs. We’ll help you find the right type of car insurance for you. Does ThinkInsure Offer Commercial Car Insurance in Calgary? Yes. We will happily provide you with a quote for commercial auto insurance in Calgary. We work with businesses of all sizes, types, and industries. How Does Calgary Car Insurance Work? Getting car insurance in Calgary is the same as getting coverage anywhere else in Alberta. Contact us to compare car insurance quotes and explore your coverage options. What Is The Cheapest Car Insurance In Calgary? Car insurance rates are determined on an individual basis. There is no one type of car insurance that is the cheapest. Rates are set based on your personal driving needs, driving history, and other factors. Contact us today to explore your options. We’ll help you find the cheapest car insurance in Calgary based on your situation. ThinkInsure takes pride in helping people save on their car insurance and keeping our roadways safer for everyone. We update our site regularly with information and tips on insurance savings, driving safety, news and much more for Alberta and Calgary drivers. We are licensed Alberta and Ontario car insurance experts. So if you are an Alberta or Ontario driver we can get you coverage. Since we work with so many insurance companies you'll be able to compare mutliple quotes for your region and get the lowest rate. When Was The Last Time You Got An Insurance Quote In Calgary? Get A Free Calgary Car Insurance Quote Today! 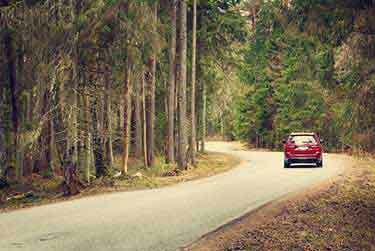 A car insurance estimate is your first step to understanding your options. It’s easier than you think. With ThinkInsure, you can compare auto insurance quotes in Calgary anytime. Get an auto insurance quote in Calgary today. Lower insurance premiums await! Compare Calgary car insurance quotes online or call toll-free 1-855-550-5515 and start saving!